One by one, they snuck into Vegas to dance for the godfather’s blessing. Republican hopefuls for the 2016 presidential nomination met with the 8th richest man on the planet to seek his approval. Jeb Bush, Chris Christie, Scott Walker, and John Kasich auditioned one-by-one before casino magnate Sheldon Adelson. In the 2012 campaign, Adelson single-handedly kept Newt Gingrich in the race – long after everyone else knew that Newt was going nowhere – with an infusion of $15 million. 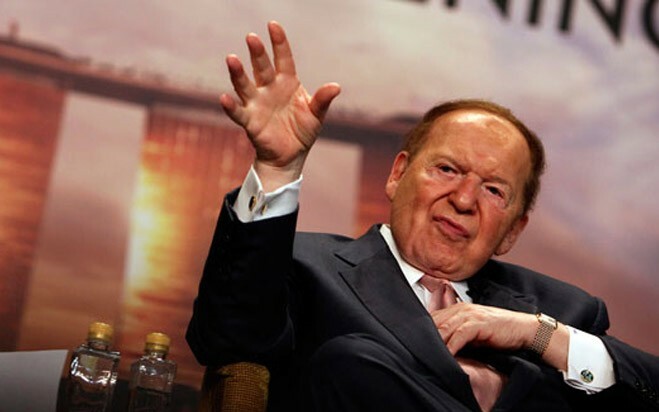 After Newt dropped out, Adelson then sank another $30 million into Romney’s campaign. Adelson’s response was recorded by Philip Weiss of Mondoweiss website. Weiss says the audience cheered Adelson’s proposed nuclear strike on Iran and no one on the stage, including several journalists, peeped a word of dissent. And this is a “very rational guy,” who doesn’t want “a crazy extremist to be the nominee”? Senator Rand Paul has taken a strong stance against interventionist foreign policy, going so far as to write an op-ed for TIME Magazine explaining why the US should stay out of Syria. A few days after Paul’s article, NBC reported that almost 60 percent of Americans agreed with him. Sheldon Adelson was not one of them. 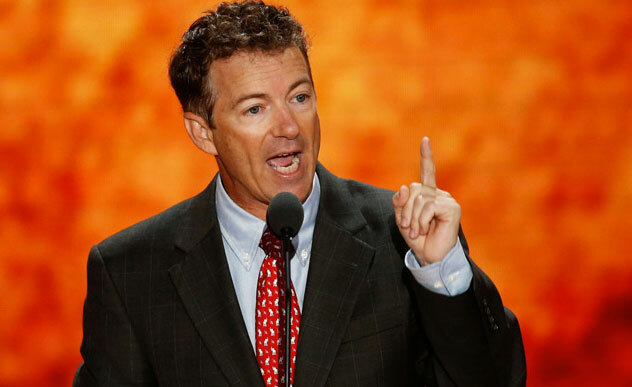 Rand Paul trashed military option for Iran and blamed the U.S. for WWII. The fact that Sheldon Adelson views Paul as a threat, and Jennifer Rubin thinks he is worthy of so much attention is a testament to how much impact Paul has had on Americans, and on the GOP. Rand Paul agrees, and will not alter his view no matter how much money is on the table, and regardless of attack ads and a hostile press. But perhaps the GOP should consider that Americans are tired of successive Democratic and Republican Presidents meddling in foreign countries. Although not perfect, Rand Paul’s foreign policy reflects the preference of everyday people on both the Left and Right, and though a pro-business Republican, has appeal to Liberals on social policies. However, the Republican Party has demonstrated time and time again that it is bad at seizing opportunities. It won’t be any surprise if wealthy GOP warmongers do all they can to jeopardize Paul’s expected 2016 presidential bid. When the attack ads against Rand Paul come – and they will come – ironically they won’t come from Democrats, but from big money warmongers in his own party.